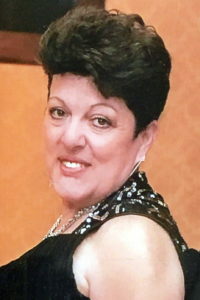 Michele Modica, passed away on Tuesday, May 22, 2018 at Richmond University Medical Center at the age of 56. Loving Mom and Wife, she will be deeply missed by all who knew her. My deepest sympathy. As a child you were fun loving and happy. I will always remember that. As you pass into Heaven, there will be no more pain and sorrow. When it rains, I know it will be you walking between the clouds. Rest in peace. I’ll love you always, Angela-Marie. I am so sorry to hear that my cousin Michiael passed away. Growing up we spent a lot of time together and I will treasure the memories . My condolences to Michael and the children my heart breaks . Please accept our most sincere sympathies for your loss. May the prayers bring solace to your soul and the loving memories bring you peace, comfort, and strength. My heart hurts for your beautiful family. You were so tough, I can’t believe you are gone. Even though we didn’t see each other much ,I always new you were there. I will miss your calls and crazy stories. May peace be with your beloved love ones. You were a special woman and I miss you already💔. Dear mike and family we are shocked and deeply saddened by the news of Michele’s passing .We are sorry and had no idea how sick she was.Pete was helping me get through my cancer and didn’t hear of your sadness .we wish we could have been there to help you Mike,Michele and your children.May God Bless her and hold her in his light and peace.God Bless and may he look upon all of you.We will see you tomorrow Mike we just remember the last time we saw you at seaside and Michele was talking to my dad he remembers that day and he’s 92 now and had 5 strokes he sends his love as well. We send our condolences to the Modica family. Michele was such a wonderful and kind hearted person. She will be dearly miss. Rest In Peace you are now with God and he will led the way . So deeply sorry to hear about your wifes passing. You and your family will be in our thoughts and prayers.May your wife Michele rest peacefully. God Bless. Our deepest sympathies to you Mike.May God Bless you and your family.